Taimur Ali Khan is only two years age but has a huge fan following on social media. The adorable Taimur is the son of Saif Ali Khan and Kareena Kapoor but ever since his birth has remained in the news for one reason or the other. Now, little munchkin i.e. 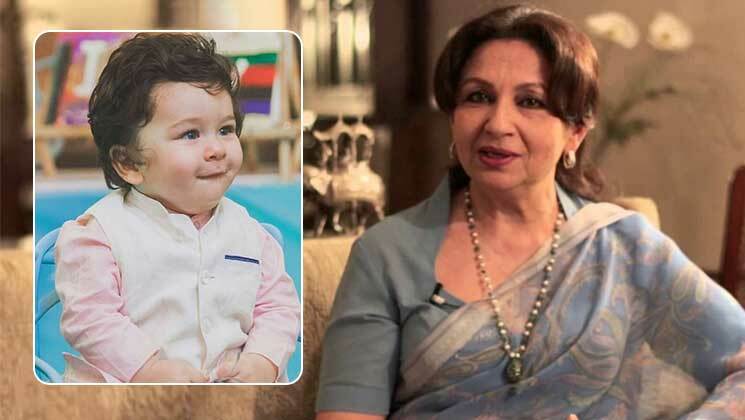 Taimur’s grandmother Sharmila Tagore has also weighed in star kid’s popularity. And, let’s not forget Taimur Ali Khan is the favourite of paparazzi. Taimur is a cutie pie and has a huge fan following on the internet. Sharmila Tagore received the Lifetime achievement award at ‘HELLO! Hall of Fame Awards 2019’. The actress was one of the biggest names in the 1960s and 70s and was known for her impeccable acting.